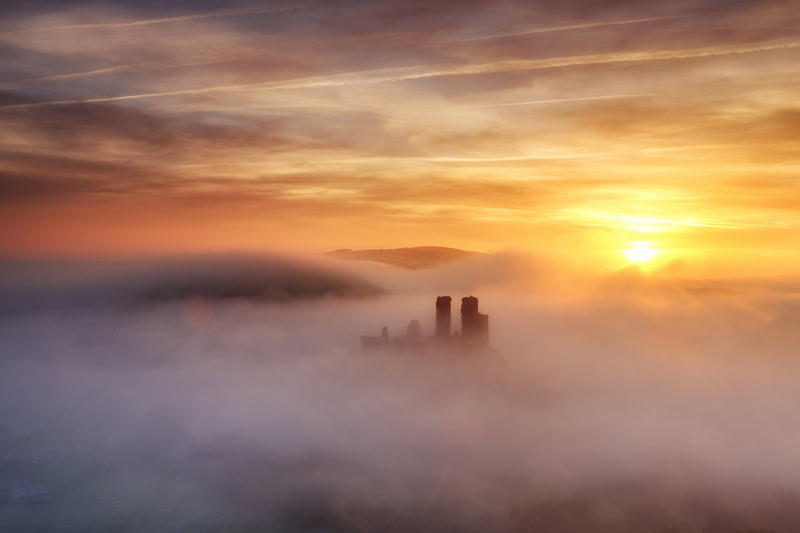 David Thompson is a UK Photographer specialising in Fine Art Landscapes. He was born in Stratford Upon Avon and after gaining a degree in Design and Technology and followed a successful career in teaching this subject at Secondary School level. 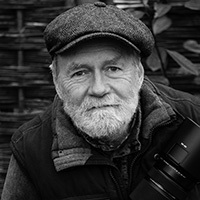 He took early retirement in 2011 to pursue his real passion of photography in the South of England. He has worked with a number of Architectural firms to record new and existing buildings and undertaken a major ‘Photo Essay’ project to record the making of a bespoke Coronation Table for the Queen, by Fine Furniture Maker Aidan McEvoy. This table was commissioned as part of the Summer House Restoration Project at Buckingham Palace. 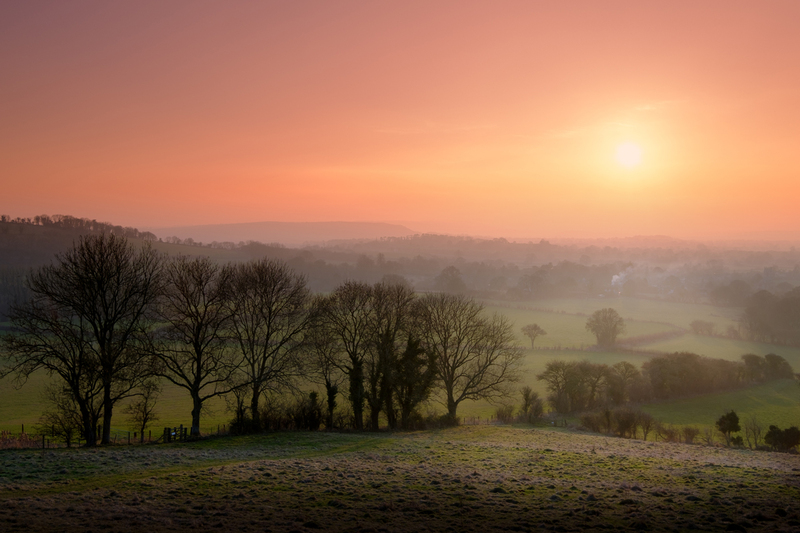 More recently he has moved to the West Country to photograph the beautiful landscape of Dorset and Somerset. A number of his images have been published in the National Press and Online Media. I first got hooked on photography in the mid 1970s when I was about and my first SLR camera was a Pentax Spotmatic. At this time in my life I was training to become a teacher of Design and Technology and I used up nearly a whole terms grant to buy it. The Pentax was a superb piece of kit which gave me many hours of pleasure and never let me down. I then progressed onto the Olympus OM system and absolutely loved the styling and innovative design of the OM1 and OM2, with a truly compact body and beautiful ergonomics. I still use an OM4 and OM1n today mainly with Black and White film. Since these early film days I would dread to think how many cameras I have owned, including the big Nikon and Canon bodies and more recently some OMD models but strangely, I now feel I have come home to my roots with the Fuji X system. For me the range of cameras that Fuji offer are the perfect blend of analogue and digital that deliver beautiful colours and amazing detail in a unique way. I did have a brief encounter with the X100 when it first came out in 2010 and I think this may have paved the way to where I am now. Some might say the camera is just a tool but I think for me it is something a little bit more personal. 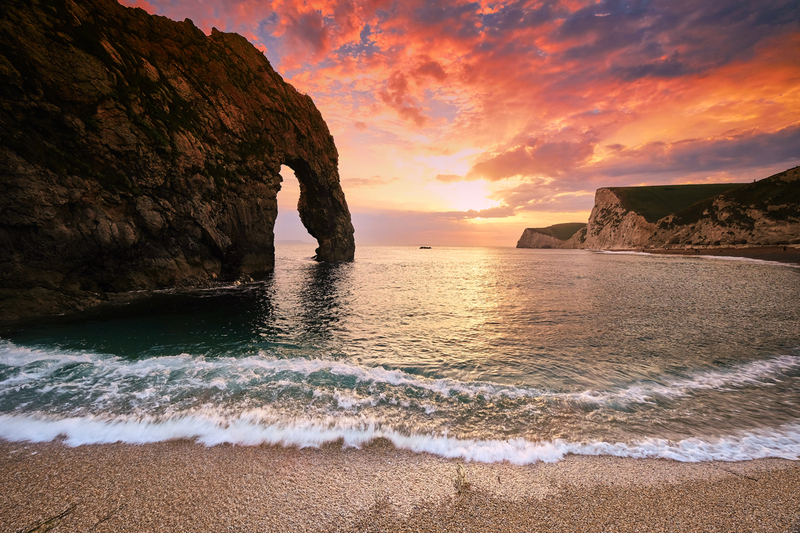 I am now retired from teaching and spend most of my time pursuing my real passion for landscape photography near to where I live in Dorset and Somerset. I acquired the X-Pro2 with the 35 F1.4 early last year and used this for a couple of months to see how I felt about the Fuji styling and results from the X-Trans III sensor. Looking at the OOC jpegs for the first time on the screen I knew I had the right camera in my hands and quickly bought the 10-24 F4 and beautiful 56mm F1.2. The light weight of both these lenses and camera were ideal for my type of photography when walking through the countryside, which can be challenging sometimes for someone of my years! As soon as the X-T2 was launched I just had to own this camera and was lucky enough to grab one on the launch date, thanks to the London Camera Exchange. Although I love the X-Pro2 one of the most annoying things about mirrorless cameras is the battery life and the fact you can only house one unit inside the body. The X-T2 on the other hand with the battery grip solves that problem perfectly, so you can easily shoot for a day without worrying about changing batteries, especially in the cold early morning conditions where drainage is a lot quicker. Having said that my X Pro 2 will always come with me as a backup and is mainly used now with prime lenses. Both cameras are set up identically which which I find really helps. As I moved over to the Fuji system from Olympus and Nikon I soon began to realise what a remarkable camera system this was and seemed to merge all the much loved features from these previous models into one. 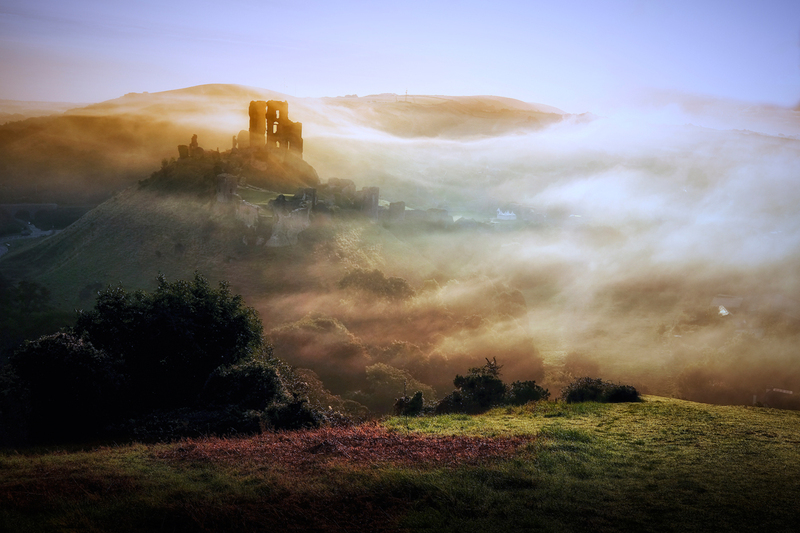 I remember my first real landscape outing was to try and capture the swirling mists of Corfe Castle in Dorset. 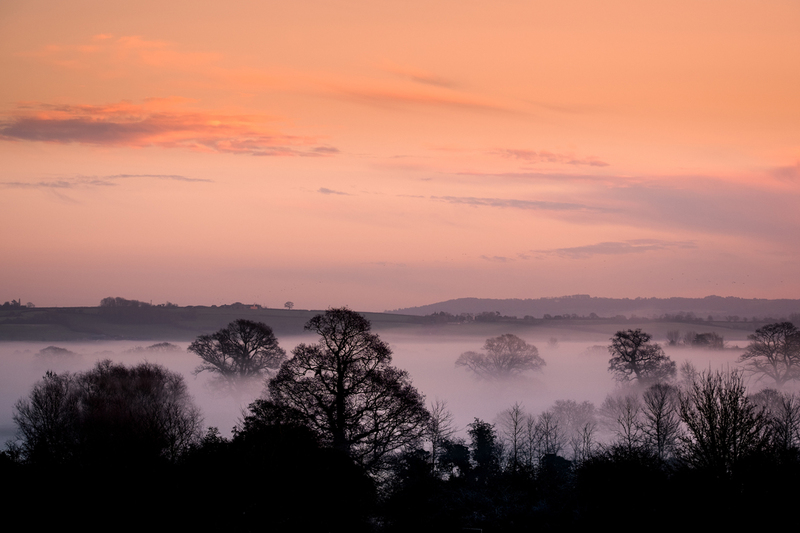 I actually made 5 trips down to the South coast before I encountered these legendary mists and was intrigued to know how the X-T2 and in particular the dynamic range would cope with the early morning light and foggy, misty conditions. 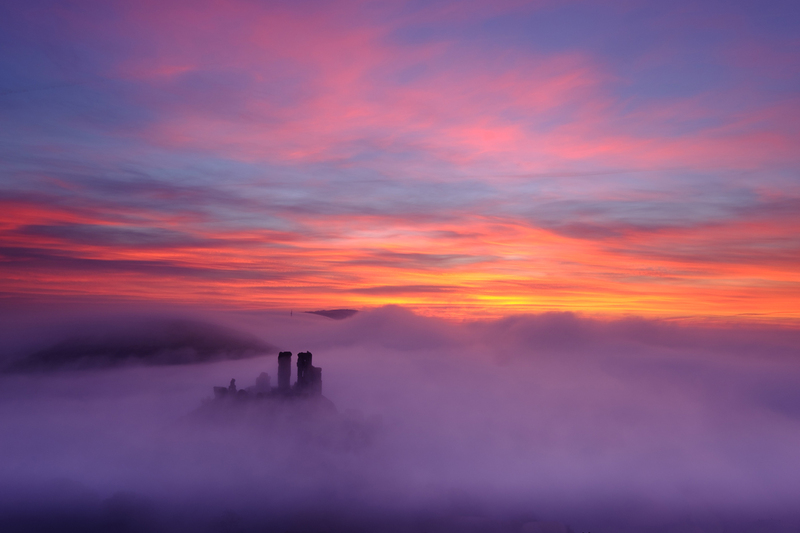 To get the best view of the rising sun coming up behind the castle you have to climb a neighbouring hill which is fairly steep and can be a little hazardous early morning, before sunrise. For my Fuji gear I use a Mindshift Trailscape backpack which will comfortably hold my X-Pro2, X-T2 body with 16-55, 50-140, 10-24, 35 F1.4 and 23 F1.4 and 56 F1.2. I may sometimes substitute the 50-140 for the 100-400 depending on the type of conditions and type of shots that I am after. The filters I use is the NISI V5 100mm system which I feel is a real game changer, with the built in Circular Polariser which is set behind other filters you may stack and eliminates any vignetting. For a my tripod I use a Benro Carbon Fibre model which I’m very happy with. 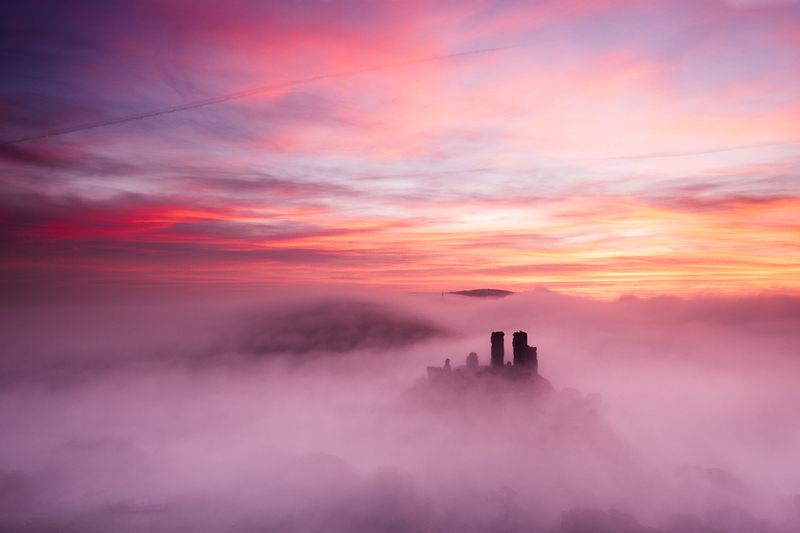 Although I know the area of Corfe Castle quite well, I always try and arrive early which is often in complete darkness so it is important you know your camera layout well and remember to take a torch with you. However, with the simple analogue style layout of the Fuji bodies the shutter speed, aperture and ISO dials on the X-T2 are so easy to operate and access, even in the dark. 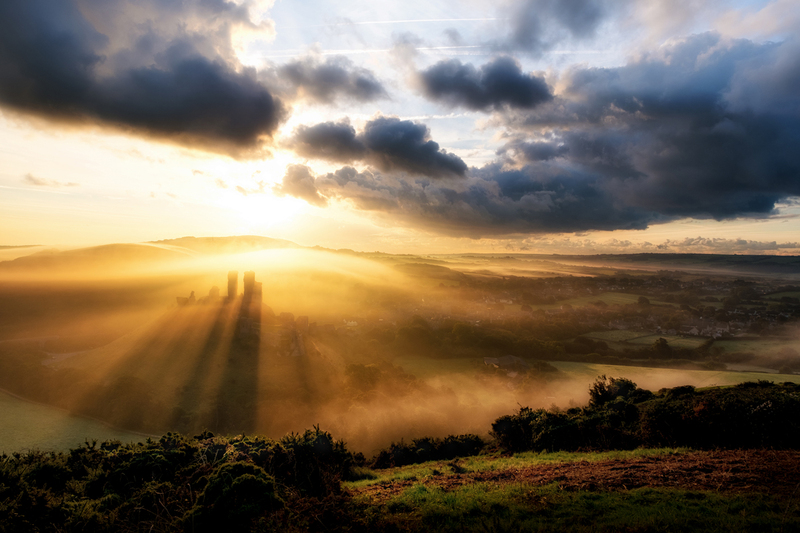 When I eventually captured the photos I wanted at Corfe I was just so impressed as to how well the sensor had coped with the early morning light conditions and a little later after sunrise, shooting straight into the sun; the dynamic range of this camera is more that adequate for landscape work. I always try and expose for the sun in these situations to preserve the highlights, knowing there will be some loss of shadow detail which can be successfully recovered in post. I would always bracket exposure but now knowing the capabilities of the dynamic range of the new Fuji sensor I feel I don’t need to. I will always shoot RAW on one card and jpeg on the other. Using something like Velvia Vivid and a 3 stop Reverse Graduated filter the colours really pop and hold back the sun a little. 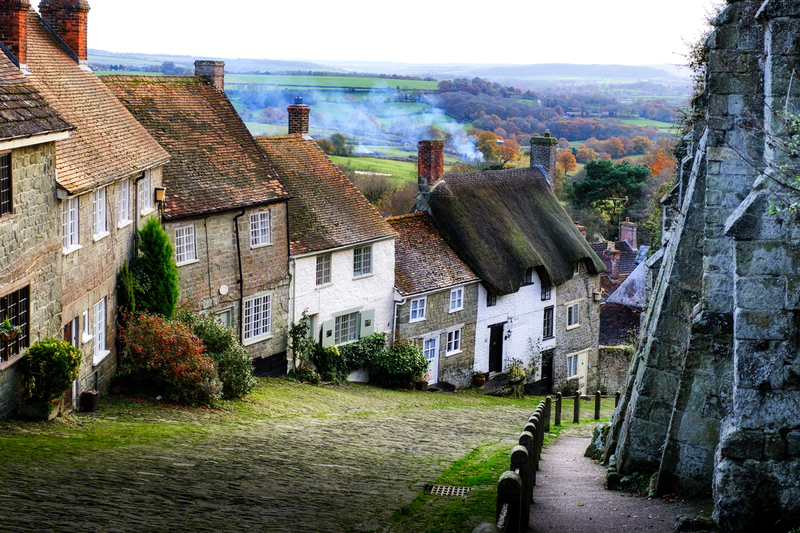 For subjects like Corfe I tend to favour the 10-24 and 16-55 as I like to try and include the surrounding hills and background details. Most of my shots here are fairly wide. When I can I always try and incorporate old buildings into my landscapes as they are part of our English Heritage and really important to me but sometimes I get drawn into distant detail and will turn to the 50-140 F2.8 or 100-400 F4.5/5.6. 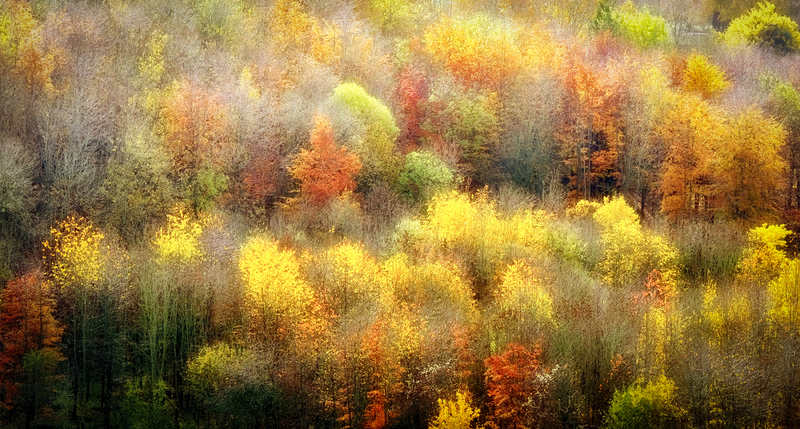 Using a long zoom lens helps convey a certain mood to the image and gives added depth. 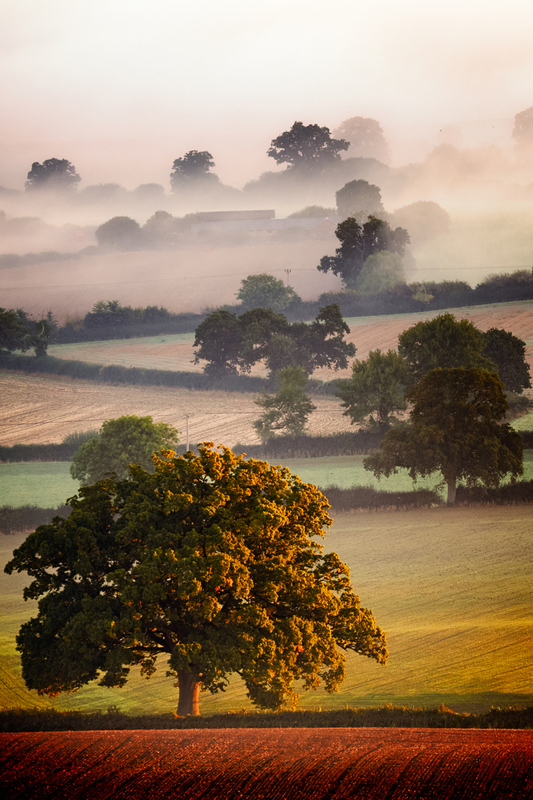 Living on the South Somerset/Dorset border we are always blessed with low lying early morning mists; especially late Summer/early Autumn. 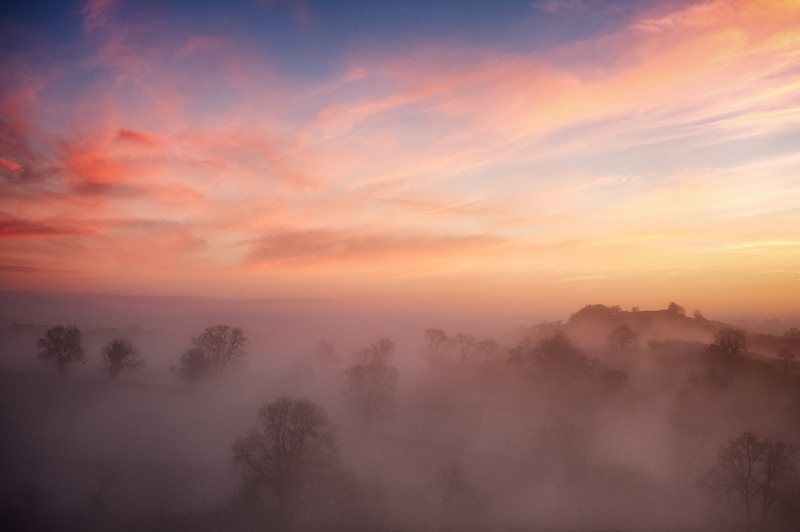 When these mists are captured early morning, pre sunrise, it will totally transform a scene into something magical. To get the best colours and light it is essential you get up well before dawn and arrive at the location with plenty of time to spare to get setup. Misty landscapes are usually full of highlights and mid-tones and I generally always expose for the highlights and mid-tones in a scene. If you use a histogram to set your exposure make sure your graph is towards the right. I sometimes also use positive exposure compensation as you would in a snow scene, it really depends on the scene and level of mist/fog present. Another thing I always look for in misty scenes is the layering of shapes, which tend to be hills and trees. If you get this right it can give an amazing depth and compression of perspective in the image. This is where I really like to use the 100-400 as it pulls in some great detail and powerful compression. If you are exposing for the mist the shapes will be really prominent and almost 3D like. I have managed to use my X-T2 an X-Pro2 in a range of different landscape environments from waterfalls to dawn and dusk shots and I just love the look and feel of the images. One of the biggest surprises is how much can be pulled from the shadows, the detail is just superb for a APC camera. For my processing I have now settled on Lightroom and am currently experimenting with Iridient Developer as I have heard a lot of users adding this to their workflow. I have tried Capture One but for me LR gives me the best overall IQ, speed and range of tools that also include the Fujifilm simulations. To be honest when shooting jpegs SOC there is very little post processing work needed and using the Fuji Camera Remote App there’re times when you can get your images straight out there. As we approached last Autumn I was really keen to get out and make the most of the beautiful show of colours; apparently the best we have seen for many years due to the very dry Summer. Setting the camera to shoot Velvia Vivid you just can’t fail to bring out the orange, browns and red colours. 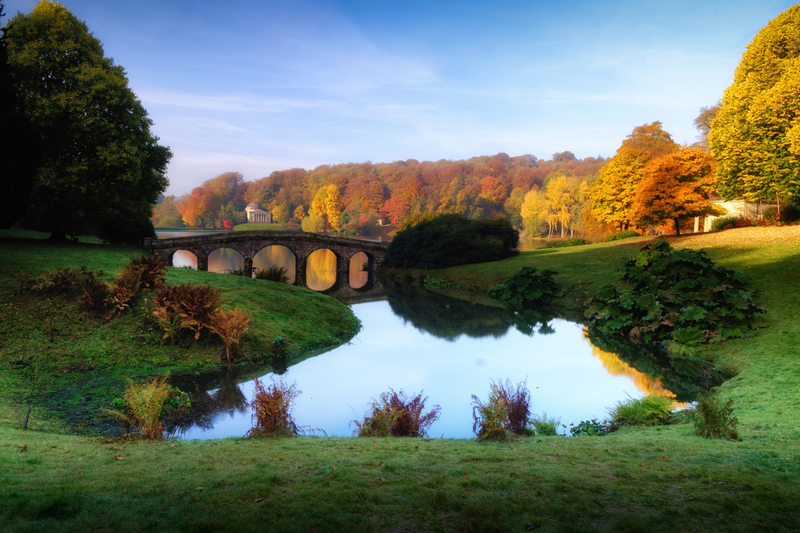 I am fortunate to live near Stourhead Gardens in Wiltshire which is guaranteed to give a display of spectacular colours and is always flooded with many visitors during the months of October and early November. This year I was determined to try and get the timing right and capture the full glory of these lovely colours. The Fuji cameras just make you want to get out there and take pictures and when you have a bright, still Autumnal day, how can you fail. I shot jpeg and RAW backup using the X-T2 with polariser and a 10 stop ND filter. 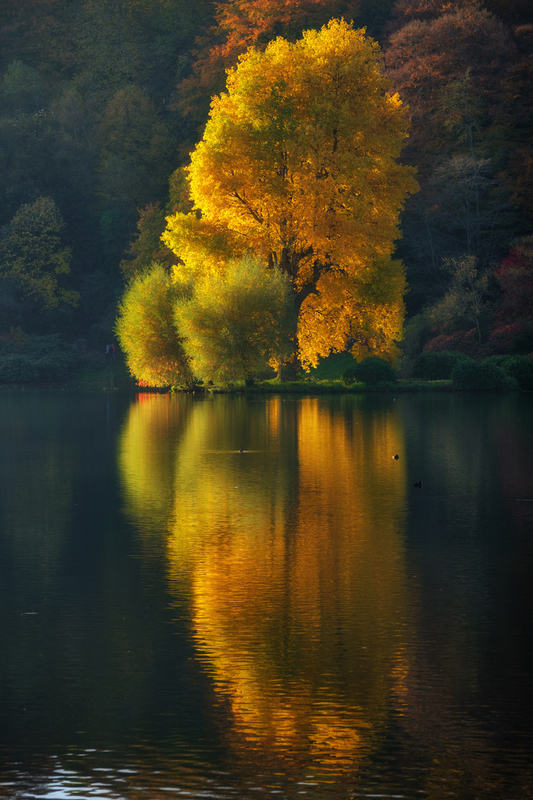 The use the ND filter was needed to give a mirror like finish on the lake and make the most of the perfect reflections, due to the still conditions. One of my photos on this occasion made it to two of the National papers The Times and Express and as a result of that, I was informed that it increased visitors to the gardens for the rest of that week. 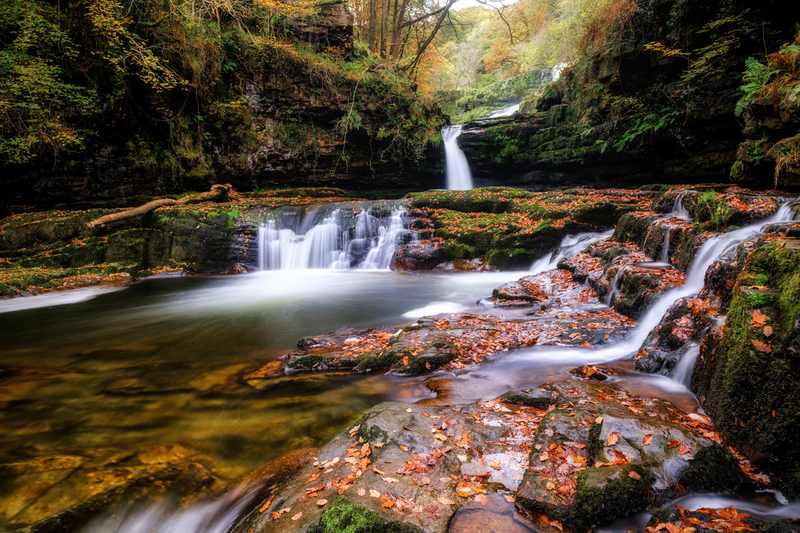 My other major project in the Autumn was to visit the Four Falls Trail in the Brecon Beacons in Wales. 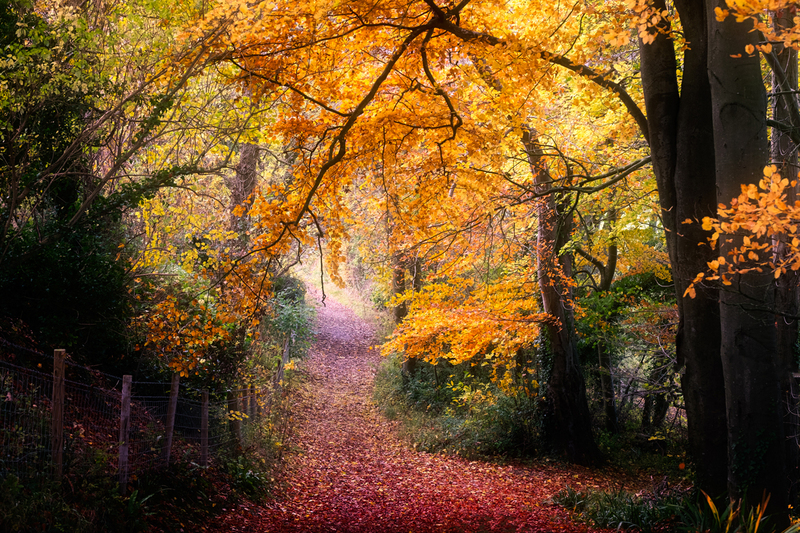 I had been meaning to explore this area for a while and with the mid Autumn colours it was an ideal time. The terrain at these falls is very up and down due to the valley and each of the Four Falls I visited involved a steep climb back up to the main path. This is where I welcomed my Mindshift Gear backpack and the lightweight Fuji system. On this occasion I took the X-T2 with the 10-24, 35 F1.4 and the 50-140 and Benro tripod with NISI filters. 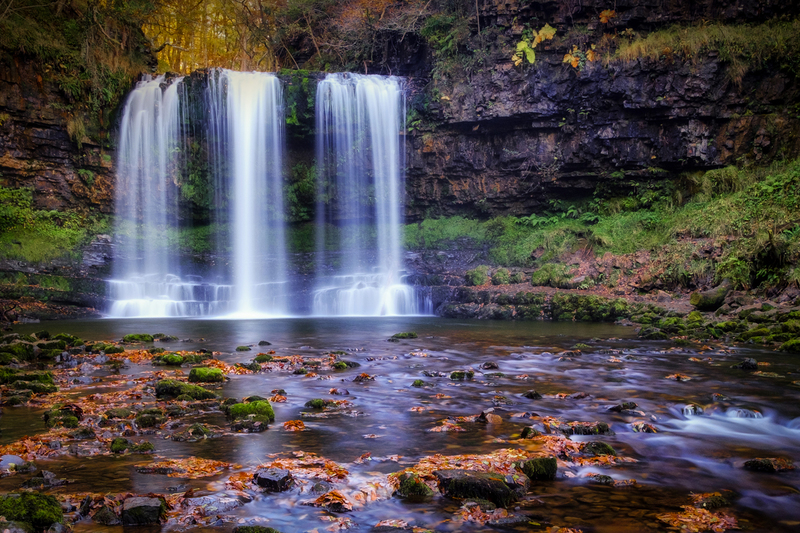 The 50 – 140 might seem an odd lens to pack for this type of subject but I found it was needed for the Sgwd yr Eira falls rather than going in wide. Visitors tend to stand behind these falls so there was a little Photoshop work with the Content Aware tool. 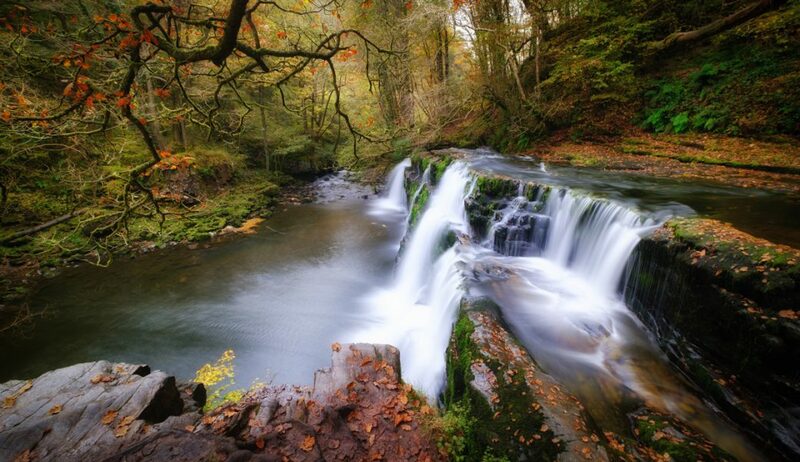 Probably my favourite fall was the Sgwd y Pannwr which combined with the fallen leaves was beautiful. I remember thinking at the time of taking how good the Velvia jpegs looked on the screen and when I got back to the car I transferred a couple onto my iPad using the Fuji Remote App to check sharpness and overall IQ, I was really impressed and again totally blown away by that famous Fujifilm rendering of colours. 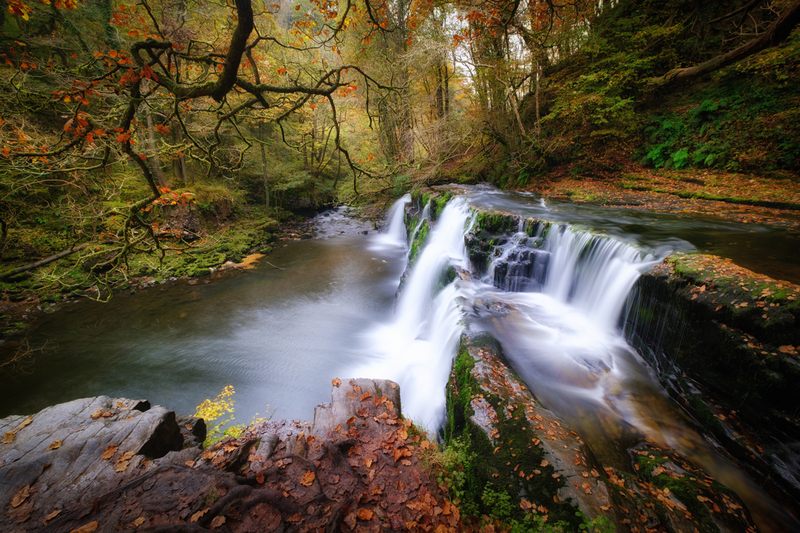 The best weather conditions for water fall photography is slightly overcast when you get a lovely diffused light (especially after rain) I was using my 6 stop ND filter to enable shutter speeds of 2-10 seconds and a circular polariser to reduce glare and add a further 2 stops of exposure. I would love to return to this area in the mid Winter weather conditions and hopefully get some icing up of the falls. Seeing how the Fuji X-Trans III sensor handled the Autumnal colours has totally convinced me of how awesome this camera is to anything else I had previously used. The other big advantage for me is how well suited the Fuji system is for outdoor photography and in particular harsh environments. The cameras are really compact but built like tanks. When I was researching Fuji I watched loads of videos on the virtues of the cameras as a wedding photographer tool or street photography but less as a landscapers camera. 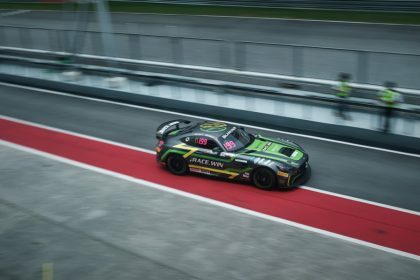 However, it was when I heard about the new 24 MP sensor coming out I sort of knew this was going to up the game and be brilliant for landscape work with a superb dynamic range. 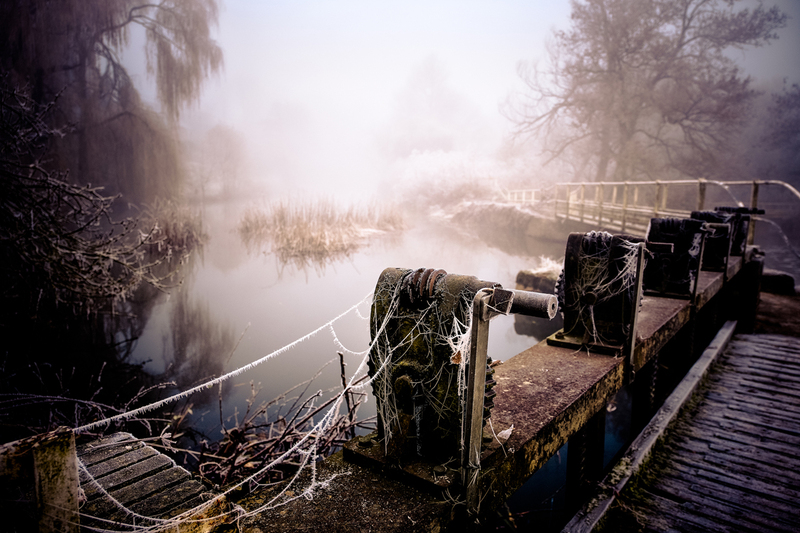 I have not used my cameras yet in extreme conditions but do quite often experience sea spray and foggy, icy weather and too date the X-T2 or X-Pro2 have given me no issues whatsoever. 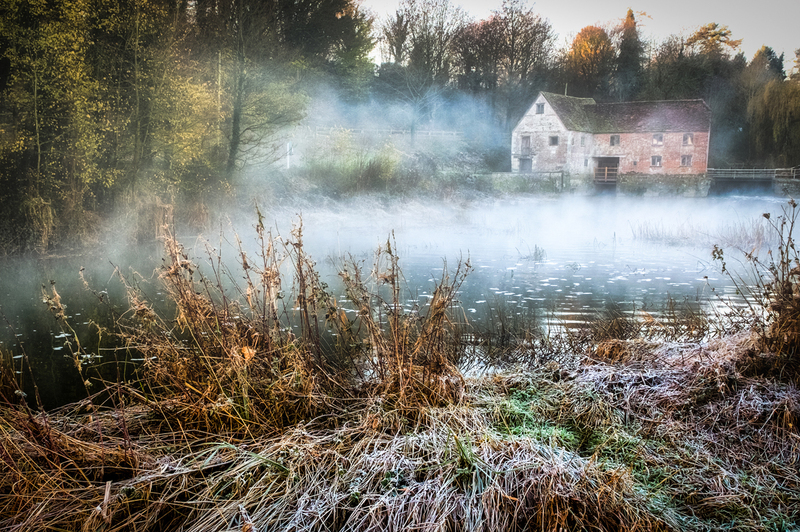 However, one little tip when shooting in fog and mist is that because the filters and screen will quite often mist up, always take a clothe to cover the camera and lens when not in use, or just waiting for that perfect moment in time. All in all my experience with the Fuji system so far has certainly exceeded my expectations and I feel confident in saying it has really enhanced the act of Photography for me in many ways. I’m not going to list all the advantages of the XT 2 as you probably already know that. Instead however, I will say I’m getting the best possible images ever out of this camera and my X-Pro2, with minimal effort and post processing. The analogue experience, ergonomics and iconic form factor just make me feel happy and confident in taking pictures and for me that is just as important as the final image. Thank you FujiFilm.